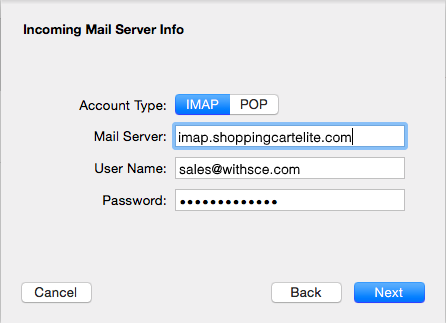 How to add my SCE email to Apple Mail on my Mac? 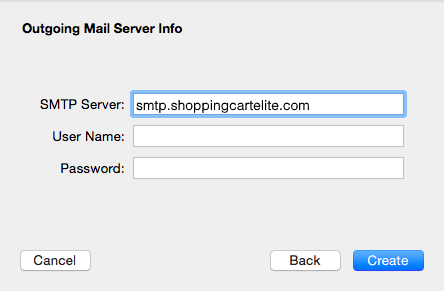 The article contains info as of Apple Mail version 8.2 on Yosemite (OSX 10.10.2). Before you start, please, be sure to have your email address and your email password. 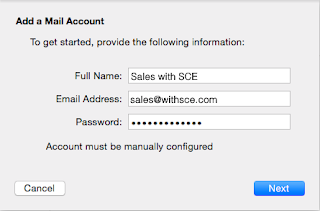 For more info visit the article Setting up SCE email into an email client. Open Mail. If you haven't added a new account yet, you'll be taken directly to the Add Account prompt. 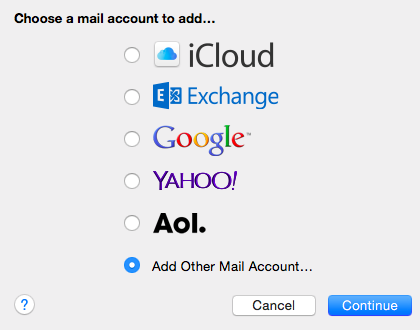 If you're adding an additional account, or this prompt doesn't otherwise load automatically, you'll need to select Add Account from the Mail menu. 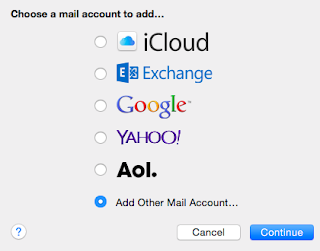 From the Add Account prompt, select Add Other Mail Account... and click Continue. Enter your email account information. Click the Create button when you're ready. 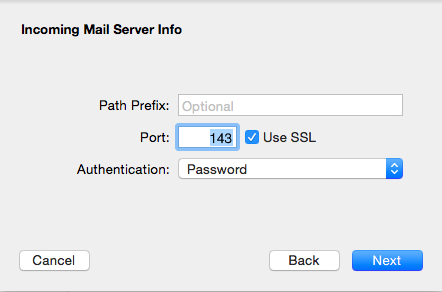 Mail will attempt to contact the mail server. 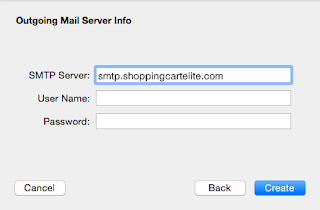 The default search uses "autodiscover.shoppingcartelite.com" -- unless you have this subdomain already created and an SSL Certificate installed, this will not work. However, don't worry! It's totally normal for this to happen, since Shopping Cart Elite's servers do not have autodiscover settings enabled by default. When an autodiscover setting has been unsuccessful, an "Account must be manually configured" message will appear. Click the Next button to complete setup manually. 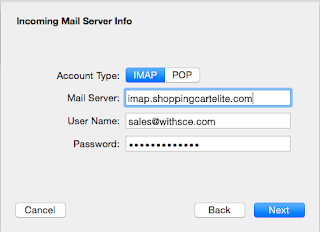 Next, enter your incoming mail server information. Click the Next button to proceed. You will be taken to a second screen to confirm additional details. Authentication: Be sure that Password is selected from the dropdown menu. 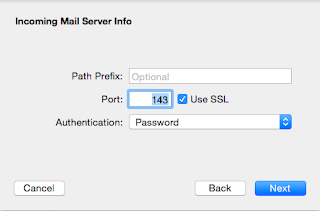 Next, we'll configure the Outgoing Mail Server. 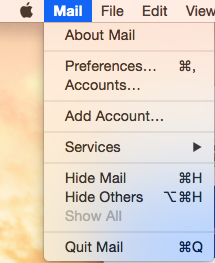 Password: The password for the email account or leave the field blank. Your email account has been created.